Here are Patrick’s thoughts and if you’ve got your own commentary on other books, we’re more than open to listening. Shoot us an email at [email protected]. There are some books that capture you with narrative arch, especially with beautifully crafted stories with characters that give depth and breadth, flooding life into the pages. There are other books that explain everything you have ever wanted to know about a topic, glorifying every detail or achievement. 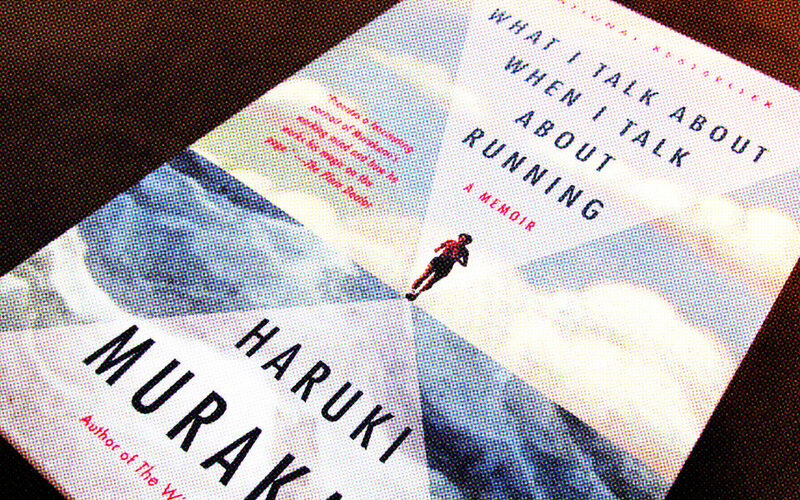 Haruki Marukami’s What I Talk About When I Talk About Running is neither of those types of books. Marukami takes what, at first, feels like an eccentric approach to a memoir – telling his life story through the lens of running- and instead gives us a nakedly mechanistic insight on what makes one our greatest novelists tick. He tells the stories of how he began running and writing; stories that mirror each other, incidental in nature, they’re both simply things that happened in his course of life. As he weaves through his life Marukami choice of running as narrative path starts to make more sense. His life’s non-running activities seem to slalom back and forth across the true path which running is taking him on, never sticking for long. Sport acts as a trend line, as he’s never truly concerned with how well he performs in a race, or feels in a workout, so much as that he stays true to his route, never walking along the way. His life is riddled with interesting stories, a bar owner turned successful novelist, who has lived in some of the world’s most compelling cities, and regularly gives lectures at the best universities, however that is not what makes Marukami’s reflections interesting – his approach to them is. He brings his book to life by only ever glancing those moments. Before giving a reading at MIT he spends two whole pages explaining that he feels more comfortable giving lectures in English than Japanese, explaining that his understanding of English is more suited to a lecture environment. Then without any pageantry simply states that his reading went well. He almost entirely bypasses the glamorous aspects of his stories. His re-telling of his life feels as if Lewis and Clark had traveled their entire way across the country then touched the Pacific only to say that it happened, and they were happy it did before turning around and walking back. Perhaps a better comparison for him would be a tree slowly losing its leaves. Every leaf tells its own story as it falls to the ground, dancing through the air, slowly, but inevitably toward its destination. Marukami’s ventures land gently, like each leaf, then with only fleeting consideration, we are watching the next one fall.